They say that to err is human but when it comes to surviving your move-out day, you would surely want to avoid making any moving day mistakes. The bad news is that the extremely busy pre-move period, filled to the brim with a myriad of tasks for you, boils down to a single day when tension is usually running high, while your precious time and your hard-earned money are put on the line. Knowing what to do on moving day will help you organize efficiently the time you have until your movers arrive or, if you’re moving by yourself – until you load safely all your stuff into the rented moving truck. 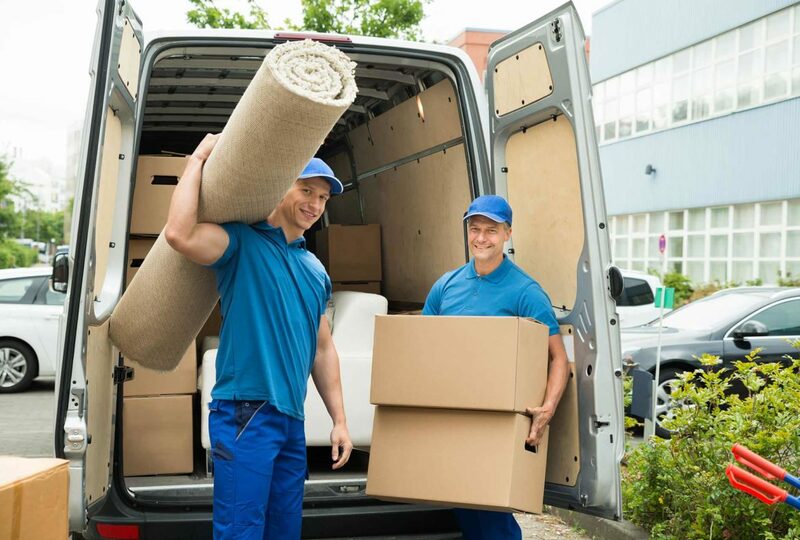 However, as it turns out, knowing perfectly well what not to do on your moving day can be even more important considering how much a moving day error could cost you. Take a look at the following 5 moving day mistakes, plus one bonus advice, plus moving day tips on how to avoid those potentially costly errors for a problem-free household move. If you’ve been following a good packing checklist, then you should be well aware that no packing jobs should be left for your move-out day. One of the most common moving mistakes is that people often underestimate the importance of starting the packing process very early during that preparation period. “I can pack a few boxes in no time!” is a deceiving tactic that can definitely cause you strong headaches on Big day. Whatever happens on moving day, packing should not be a part of it. Ideally, you will have finished boxing up the last containers a few days before the day of the move. In fact, the only boxes you can still have unpacked are the essentials boxes (see below) which you can get ready quickly enough before it’s time to leave the house or apartment. If things are not improving time-wise, then get in contact with experienced professional packers. In short, don’t make the moving day mistake of leaving any packing for the craziest day of your entire move. You should get away with minor moving day mistakes. 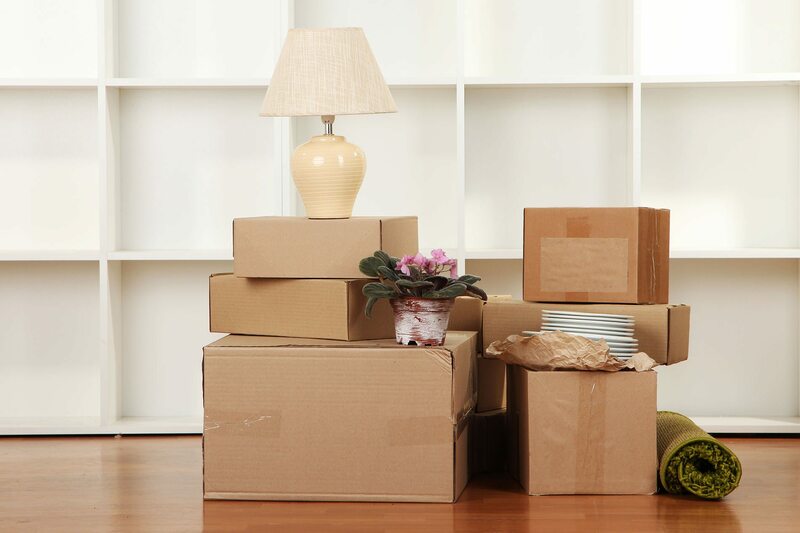 Think about this: when you pack up a box after a box, you do realize that you won’t have access to the things you just packed inside them until those moving containers are delivered safely and taken inside your new home to their pre-determined rooms. Right? In other words, once your coffee maker ends up inside a cardboard box, you won’t be able to enjoy a refreshing cup of coffee in the morning of your residential move. Well, unless you consider that coffee making machine an essential item and decide to leave it for the essentials box you’re expected and recommended to prepare. One of the usual moving day mistakes people make is to pack prescription medicine, toiletries, extra sets of clothes (including pajamas), important tools and other much-needed lifesavers in random boxes, and thus lose access to their useful functionalities. However, you know what to do on moving day so that nothing can slow down your relocation inertia. Your moving day checklist should definitely include the preparation of a moving day survival kit whose primary goal is to make the transitional period a bit easier for you until you re-gain access to your household items once more. Think of all the essential items you really need on a daily basis, then cut down that list to only the things you’ll find it hard to survive without, even for one full day. In short, think ahead and pack a moving day essentials box (or two) to be able to keep things running smoothly until you find yourself in your new house or apartment with the freshly-delivered moving containers. Moving day is usually the most unpredictable period when moving to another home – you just don’t really know the ways it can decide to surprise you. This is why, to be 100% ready for its arrival is the best weapon you have to counterattack the bad reputation of that single day. After days and days of completing one moving task after another, you may get tempted to leave a few really quick jobs for the morning of the big day. You do plan to get up early on your move-out day anyway, so what’s the harm of completing a couple of tasks for a warm-up until your movers arrive, right? Wrong. The unpredictability of moving days is exactly what could shatter your plans and give you a very hard time when crossing the finish line. Your alarm clock may fail to go off, your movers may decide to show up earlier, or you may not be feeling too well to begin with. To make things even worse, time on moving day always seems to quicken its pace, so you’ll be really feeling the pressure right from the start. In short, don’t make the rookie moving mistake of having things to do on moving day – all moving experts agree that you should be ready with all pre-move tasks at least one full day prior to your move-out date. The best moving day advice you can ever get is to stay safe during that chaotic 24-hour period of moving from one home to another. 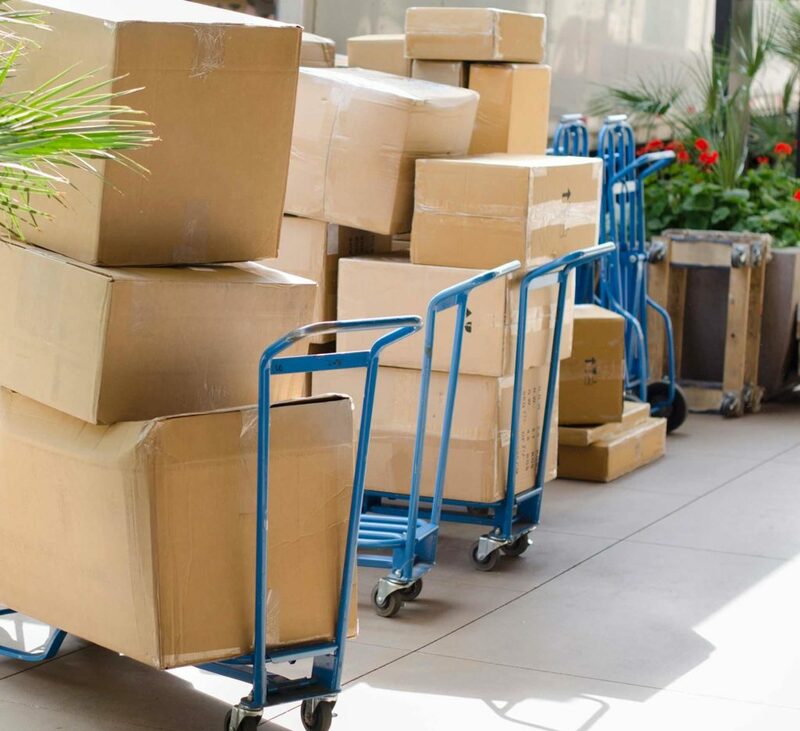 As stated above, moving day can be rather unpredictable, and that fact alone makes it a fairly dangerous period where even small judgment errors can quickly escalate into unfortunate accidents or personal injuries. Moving day safety is your top priority. If you have a baby or a small child, make sure they stay away from the moving day danger. Ask a family member to look after them in a room a safe distance away, or if that’s not possible, hire a babysitter for the day. You’ll be able to concentrate better on the tasks at hand when you know your child or children are one hundred percent safe. Pets are capable of creating dangerous situations on moving day, so don’t make the mistake of allowing your pet’s running feet to bring about chaos and confusion. Keep your dog, cat or any other type of pet you may own away from the relocation epicenter – leaving them with a trusted neighbor or a friend is a good option that usually works out well in the end. Another frequent moving day mistake is to block the paths and hallways both inside and immediately outside your home. Think of all the traffic of hurrying feet you will have on moving day! Don’t forget to remove all types of obstacles and hazards along those exit pathways to ensure both your safety and that of your hired moving crew. Even if you know exactly what to do on your moving day, there are some seemingly little things that could still botch up your big day plans and bring unexpected problems. Have you even considered what your moving day outfit will be? Another mistake people often make on moving day is to dress badly for the occasion. To avoid painful slip-ups, literally and figuratively speaking, don the most comfortable clothes you own without paying attention to the latest fashion. Also, find your most comfy closed pair of shoes with good sole traction and ankle support – you will be doing plenty of non-standard movements throughout that crucial day. Forget about wearing baggy clothes, formal shoes or pieces of jewelry. In short, safety is paramount so never underestimate it while you’re trying hard to survive one of the craziest days of them all – your own moving day. It’s important to know what to expect on moving day as that can take off some of the mounting pressure of that very stress-filled day. If you have done your homework right and have researched well your relocation partner, then at least you’ll know that you can trust the movers to do a good job – packing up your things (if you’ve opted for that additional service), protecting your items as they’re taking them out of your home and safely loading them onto the moving vehicle. However, even if you’ve managed to hire the most reputable and experience movers out there, you should not make the moving mistake of entrusting them with your most valuable items. Why? Even the best movers are still humans, and human beings tend to make mistakes. To make things worse, some movers could be tempted to steer away from the right path, lured by the high monetary value of some of your possessions. Fight the seriousness of Moving day with your signature sense of humor. Moving your valuables from your current home to your new one is strictly your responsibility. Know at all times where your jewelry pieces are, as well you bank cards, family heirlooms, expensive electronic gadgets, important documents, and of course – cash. If you own expensive or sentimental items that are too big to carry yourself, then you should have them moved by your moving company but not without purchasing additional insurance first (through your moving company itself or directly from a third-party insurance company). For better or worse, the countdown to moving day is now over and it’s time for that big change in your life. Moving house is a serious matter and it’s hard to try to link your move-out day with possible sense of humor or laugher or even jokes. That may be so but you’ll still find it very beneficial to let some steam off from time to time to prevent the house moving pressure from reaching a critical point. Try to look at the bright side of your residential move (it can’t be all bad, can it?) and concentrate on all the good things that are sure to come. If you still find it hard to even smile, then maybe a few good moving day jokes will help you. If they fail, then organizing a moving party with your friends the day before moving day is also worth a thought.